The new tower to be built in Singapore by U.S.-based casino operator Las Vegas Sands Corp as part of the expansion plans for the firm’s Marina Bay Sands complex (pictured), will not include gaming. So said George Tanasijevich, the president and chief executive of Marina Bay Sands Pte Ltd, the Las Vegas Sands subsidiary that runs the property, in an interview with Singapore-based Chinese-language newspaper Lianhe Zaobao. The Singaporean government said on April 3 that it had agreed to the expansion of the city-state’s two integrated casino resorts. In return for their investment – an aggregate of SGD9 billion (US$6.65 billion) – the respective operators would continue to hold a duopoly on casino gambling in Singapore through 2030, it added at the time. Singapore is home to two casino operations: Marina Bay Sands; and Resorts World Sentosa, owned and operated by Genting Singapore Ltd.
As part of the agreement with the Singaporean government, casino resort Marina Bay Sands will build a fourth tower adjacent to its existing complex. The SGD4.5 billion-expansion project also includes a 15,000-seat arena and a new luxury all-suite hotel with approximately 1,000 rooms, topped with a sky roof. 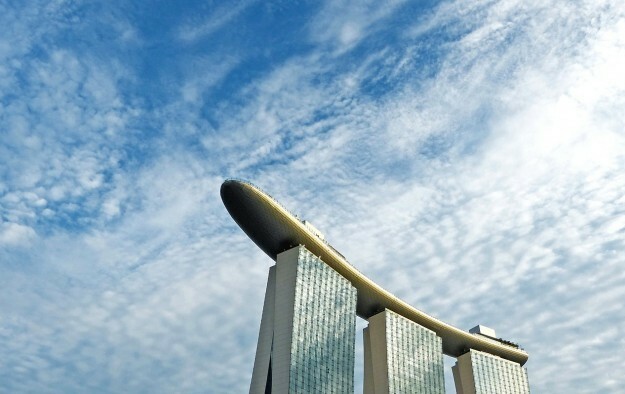 The agreement additionally allows Marina Bay Sands to increase its total gaming floor area by 13.3 percent to a limit of 17,000 square metres (183,000 sq feet). Mr Tanasijevich told Lianhe Zaobao it was “more appropriate” for the firm to use the additional gaming area to expand its current casino instead of adding gaming to the new tower. He also explained that the firm could only have access to the additional gaming area granted by the Singapore government upon it completing certain milestones of the Marina Bay Sands expansion project. Mr Tanasijevich added that the additional hotel rooms included in the expansion project would help Marina Bay Sands better to cope with demand. According to him, the average hotel occupancy rate at the property – featuring 2,600 hotel rooms – currently ranged between “94 percent and 99 percent”. The executive added that a timeline for completion of the Marina Bay Sands expansion project was not yet available. He said the firm also planned to revamp 63 existing suites located at Marina Bay Sands, with work schedule to take place next year.